We received an email from Bonaire, a sunny island with warm beaches and crystal clear water. 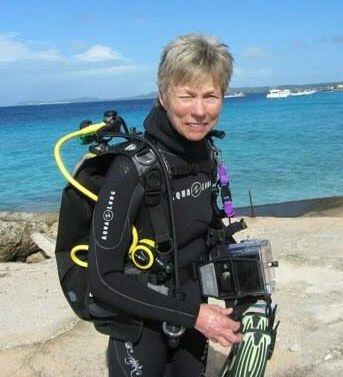 This is where one of our advanced students, Becky Litton likes to spend as much time as possible to go scuba diving. “I had an amazing experience vacationing in Bonaire. We scuba dive a lot and I have over 500 dives without any equipment malfunction. But this time – it happened. I was 40 feet down when suddenly I was sucking in only water and no air. I didn’t panic, but it was very stressful. I used my alternate air source but I took in a lot of water. Anytime after a violent, frightening or life threatening event Aconite can be given immediately to prevent the after effects of shock from settling in the body and manifesting physical symptoms (PTSD). Aconite really helped victims of the big 2013 flood in Colorado. It reduced the effects of their fright, shock, and sudden loss. Keep this emergency remedy in mind and handy in your glove compartment or travel kit. It can help with many situations. Becky responded so well to the remedy because her symptoms and the cause of her symptoms match the remedy Aconite. The homeopathic Materia Medica (Encyclopedia of homeopathic remedies) associates the following symptoms with Aconite. Anxiety states, restlessness and insomnia (waking 1-2 hours after falling asleep) after fright, or shocking events. Sudden fevers and inflammatory conditions after exposure to shock, fright, or cold dry wind. Complaints come suddenly and with great intensity and are often accompanied by an unquenchable thirst for cold drinks. Many chest symptoms, including: painful breathing attacks of suffocation, heaviness and oppression of the chest. Multiple respiratory symptoms including: constant short dry coughs, cough with shooting pains in the chest, coughs worse after midnight, after fright and worse after eating.